Alpha 1 deliver a reputable service to this sector across the country. Clients choosing our security guard services are given the reassurance of knowing that we will genuinely work with them to develop a best practice solution. For every project, we begin by undertaking a thorough on-site survey. This helps us understand each location and allows us to con gure the most effective protection. A health and safety assessment and site instructions are also prepared in conjunction with our clients’ needs and specific requests. We provide highly experienced on-site security guards to protect against intrusion, disorder or vandalism; our guards are highly trained offering a diverse range of security skills, customer service awareness and often multi-lingual abilities. With a manned guarding retention rate of 95% we believe our approach works. Our officers stay with and work with our clients for long periods, embracing the culture and gaining corporate knowledge. As the first point of contact for employees and visitors they act as ambassadors for our clients, whilst simultaneously protecting our client’s environment, brand, business performance and reputation. 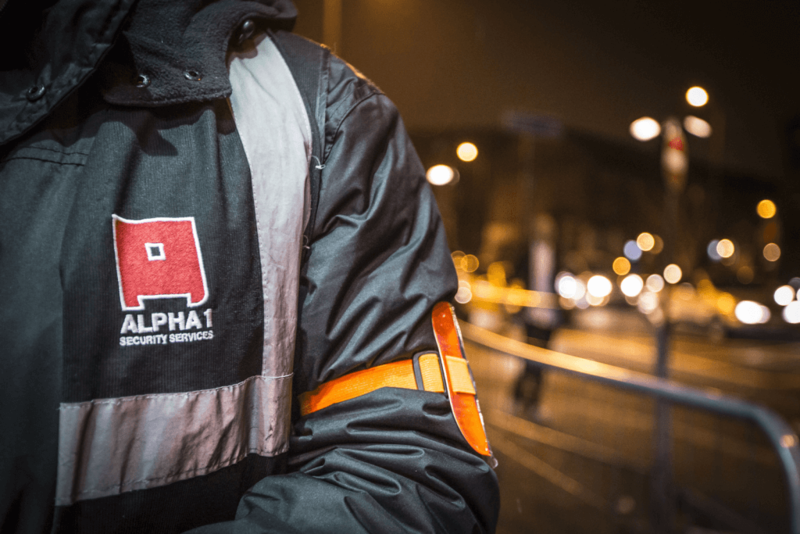 With branches in the south-east, midlands and north-west, Alpha1 Security Services now provides professional, reputed national coverage to clients across the United Kingdom. Alpha 1 is a trading name of Inception Group Ltd. and a registered trademark of Inception IP Holdings Ltd, licensed to Inception Group Ltd.
© Inception IP Holdings Ltd. 2019. All Rights Reserved.